Ballast Point Brewing Company opened its East Coast facility in the Roanoke Region in 2017. The Roanoke Region has an established food manufacturing industry made up of nearly 50 firms employing more than 1,800 in the region. Companies in the region include everything from large production breweries (and smaller craft beer operations) to dairy and meat products to soft drinks to commercial baking and food packaging. Plentiful supply of water with current demand only 43 percent of available daily supply. High water quality – water quality reports available showing all regulated substances well within ideal goals in treated water. Low business costs including construction costs, costs of doing business, and costs of living that are well below national averages. Virginia has the sixth lowest tax burden on new investments in the U.S. Two-thirds of the U.S. population is within a day’s drive providing fast, convenient access to your markets. Businesses benefit from Virginia Tech, the Commonwealth’s premier research university and industry partner. 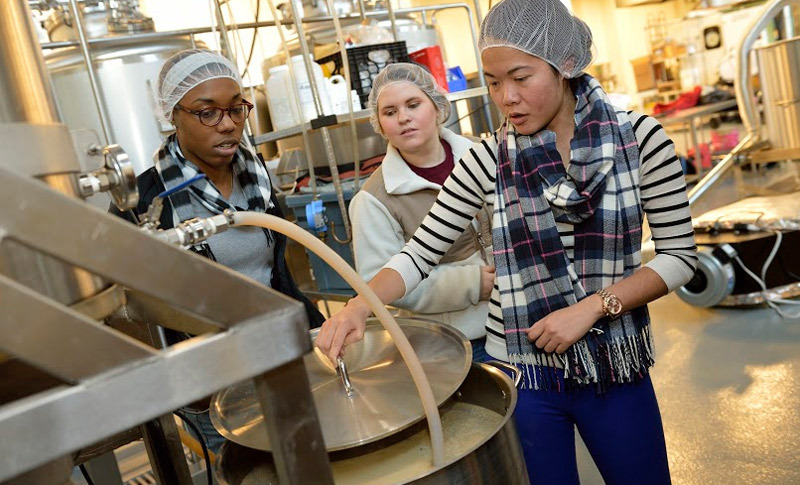 Tech has the only food science program in Virginia and one of the premier food science programs worldwide with a curriculum fully accredited by the Institute of Food Technologists and Master Brewers Association of the Americas. The Department of Food Science and Technology has specialists in topical areas ranging from microencapsulation to food safety and includes a brew house and pilot plant. Virginia Tech human nutrition and food scientists conduct research that spans the continuum from producer to consumer. The result is practical solutions for safely producing, processing, and distributing nutritious foods and new knowledge about human and animal health. Want to know more about this growing cluster in the Roanoke Region of Virginia? From Ballast Point Brewing Co. to dozens of regional breweries and wineries, there’s something for every taste in this sector.